But as an ordinary Filipino investor, I am more interested on returns on my mutual fund investment by monitoring the Net Asset Value Per Share or NAVPS. It inspires me if the current NAVPS is higher than the NAVPS when I bought my shares from a mutual fund. It just means, I will earn profits if I redeem my shares with the current rate. Of course, it should be within the redeemable period. Otherwise, I am charged with exit fees which will reduce my earnings. 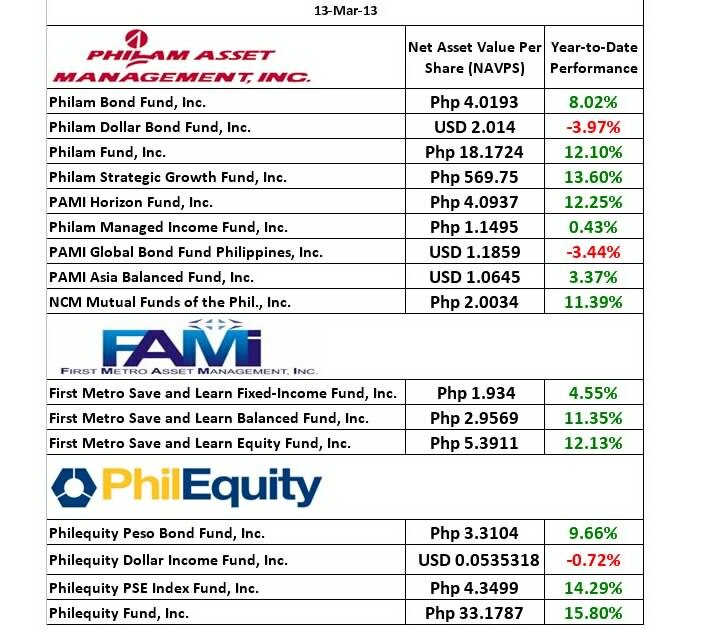 There are three topnotch mutual fund companies in the Philippines: Philequity, First Metro and Philam Asset. International Marketing Group have partnered with these companies for concrete application of the steps to building a solid financial foundation when it comes to investing. Investment is an integral part of the total financial solution advocated by IMG. PEMI is an investment management company established in 1993. PEFI was awarded by the Investment Company Association of the Philippines (ICAP) as the best performing equity fund in the 5-year and 10-year categories for the three straight years. I focused my investment with PEMI on its equity fund. In my own analysis, Philequity Fund is the best performing product of PEMI. I decided to concentrate my FAMI investment in its Save & Learn Balance Fund. In my judgement, it is the best mutual fund under the balanced category. 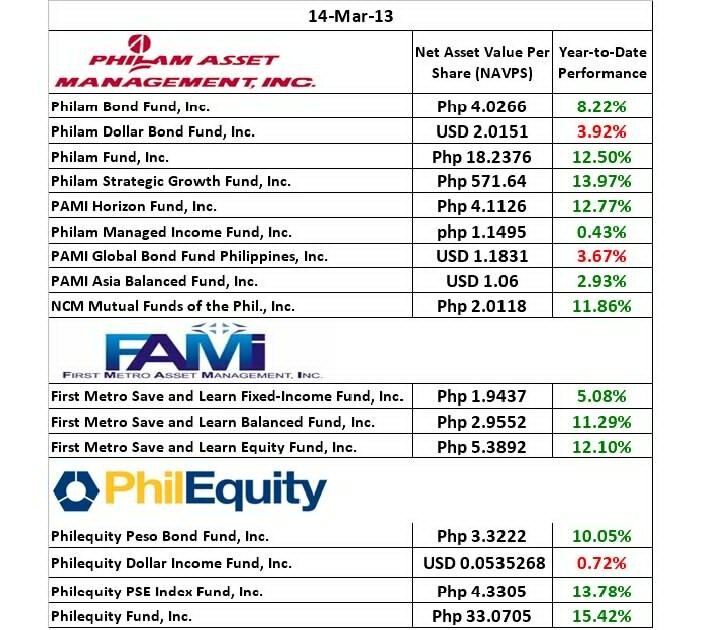 Philam Asset Management, Inc., is an asset management company that manages, distributes and provides investment advisor to nine (9) mutual funds, It is wholly owned by Philam Life, the No. 1 life insurance company in the Philippines, and member of the AIA Group, a leading life insurer in Asia region. PAMI is a multi awarded mutual fund company with recognitions given by ICAP, Asian Investor and Readers Digest. The best mutual funds of various categories are available from these companies. It is not easy to choose which of them is the best. The most logical thing to do is to diversify your mutual fund portfolio by buying shares from all three companies. However, before you can invest, you need to be a broker. But you don't have to go far, just register with IMG to be a licensed broker of these companies. The companies mentioned are top ranking in the country in terms of overall performance. Just visit the link to start investing and choose the best mutual funds.